The place to find fabulous holistic practitioners! So many categories to choose from … Browse through these listings to find ways to upgrade your health and happiness. Watch some of the videos. Visit their websites. We are confident there are many fabulous candidates here that you can add to your own personal health care team. This is the longest running Holistic Health Directory in Connecticut! For Practitioners: If you wish to participate in the Directory, fill out our Online Form. Your listing will remain online for a full year. Reiki Classes all Levels. Dreams, desires, passions soar, boost energy, clear negativity. Call for your Complimentary Consultation & reserve your Phone or Skype session or class. Priscilla is a certified Angel Therapy Practitioner® and connects you to your angels for guidance and healing. Additional services include Mediumship, Medical Intuition, Reiki, Trance Healing, Hypnosis, and Health Coaching. Marie has a toolbox full of methods that brings you closer to the angels and accesses their specific energies to help you and others heal. Marie is certified to teach Meeting the Angels and Healing with the Crystal Angels, as well as the Instructor course for these classes. Marie is also a Licensed First Dan Rainbow Reiki Master Teacher and Practitioner. Gina is a Reiki Master Practitioner, Integrated Energy Therapy Practitioner, Animal Reiki Practitioner and an Animal Communicator. Gina has a Master of Science in School Counseling and a post masters certificate in Professional Counseling; with over 15 years of experience working in education, over 12 as a High School Counselor. Gina has a Bachelors of Science in Human Development & Family Studies with a special focus on children and adolescents, and a Minor in Sociology. 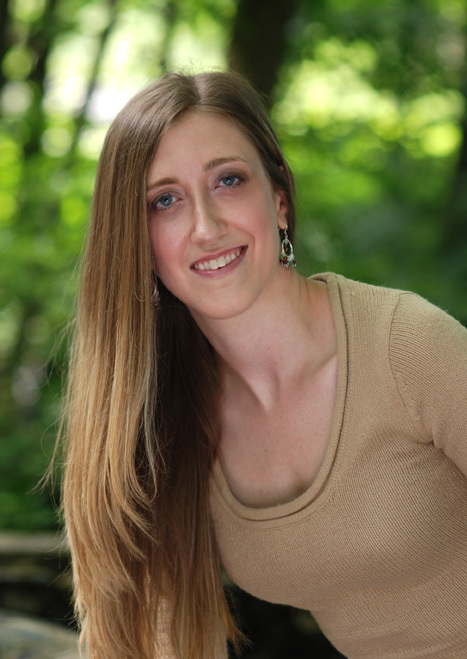 Gina uses a person centered, holistic approach to wellness as a Licensed Professional Counselor. Let me assist you in life’s journey towards fulfillment and happiness. We all have an inner voice so let’s collaborate together as I assist you on your path. Experience energy work for the positive effects on the mind, body, and soul. Sessions scheduled in my Farmington, CT office. I can travel to your home to provide Animal Reiki sessions to your pets. I am a licensed professional counselor, and board certified art therapist. I use a person-centered approach to my practice, incorporating psychotherapy and art therapy, to personalize sessions to meet my client\’s specific needs and goals. I believe in a therapeutic relationship built on trust, compassion, and non-judgement. Art therapy allows for exploration of creative process which helps to promote wellness, increase insight, foster resilience, and develop new coping skills. No previous art experience is required. MARCONICS is a multidimensional Ascension energy healing modality, handed down by Spirit, for the evolution of Humanity – The Human Upgrade. Marconics raises your vibration above the Fear frequencies of the third dimension, so you can access the frequencies of Pleiadian Love in the higher realms and come into alignment with your Higher Self, at Source. During a Marconic “No Touch” session, one’s vibration is raised so high through their physical and etheric bodies that they begin to shed density from their energy field, the pineal and pituitary glands are triggered, DNA is activated and a connection is made between the client and their Higher Self lineage. Performed in the morphogenetic field, Marconic Energy instantaneously connects the Axi-A-tonal lines (think of these as the Meridians of the Light/Energy Body) to the Universal Matrix as you are activated to expand your genetics in a re-evolution of the true lightbody opening your pathways from a finite to an infinite quantum state. Your etheric and physical bodies are being re-tuned, re-structured and re-calibrated to survive and thrive in those higher dimensions. Appointments are available in my Suffield office and can also be experienced via distance healing. 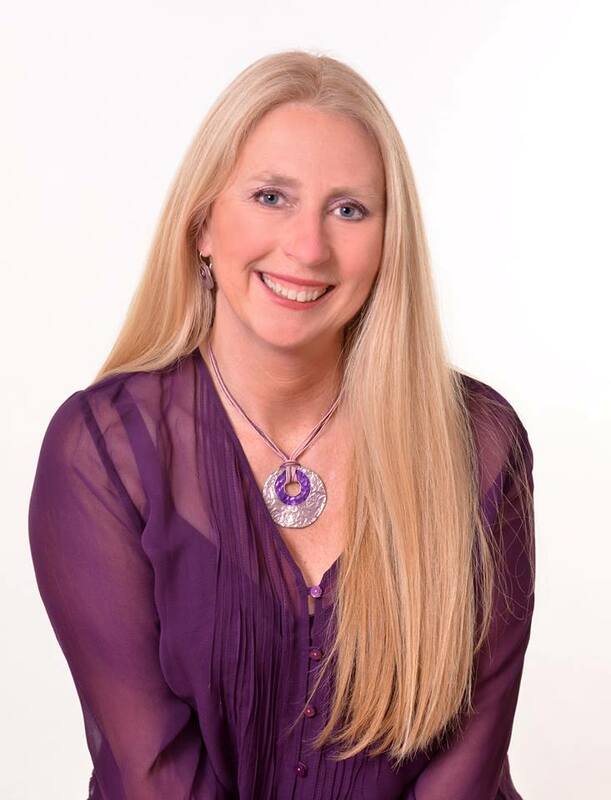 Doreen is a board certified holistic nurse and hypnotherapist holding certifications in energy medicine, visualization, holistic stress management, Reiki, and therapeutic touch. She is an advanced PSYCH-K facilitator, and offers past life regression sessions. Her spiritually based life coaching/healing practice draws upon her own inner work and training. Included in her experience is 25 years of trauma, cardiothoracic, and neurosurgical critical care nursing. She employs a myriad of mind/body medicine techniques to utilize in private sessions, lectures, and workshops to facilitate healing and a state of well being. Doreen offers skillful tools to release stored emotionally charged beliefs held in the cellular body. Releasing self defeating and limiting beliefs clears the way for happier and healthier desirable outcomes. As a holistic stress management and conflict resolution consultant, she customizes her work and workshops to meet the individual needs of corporate and healthcare settings. Working closely with the universal metaphysical laws of manifestation, she shares her knowledge with her clients; offering a key to unlock the potential in others for good health, happiness, and abundance for their lives. Phone services available. Strengthen the connection to your higher self through a QHHT session. Enjoy ascension work, energetic healing and exploring past lives with Kaya as your guide. Kaya is a multiple award-winning business executive that has expanded into life as an energy healer. Enjoy ascension work, energetic healing and exploring past lives with Kaya as your guide. Strengthen the connection to your higher self through a QHHT session. Any of these experiences can make a tremendous difference in your personal growth and overall well-being. Skype sessions available. Rolfing® is a dynamic hands-on series which allows your body to unlock, integrate and redirect movement. Freedom from sports injuries, accidents and years of poor posture is available. 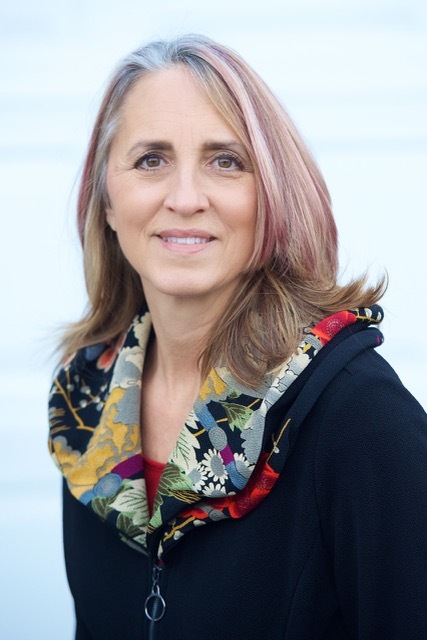 Sharon has practiced Rolfing® since 1981, loves her work and invites inquiries. Lisa, a Licensed Clinical Social Worker, in practice since 1981, offers traditional and spiritually-focused psychotherapy, blending cognitive-behavioral psychotherapy, EMDR, inner child work, relaxation training, sound healing, EFT, energy medicine and Reiki to attain inner peace and connection to Spirit for herself and her clients. Many insurances accepted for clinical services. Additional classes and workshops such as Tai Chi, Qi Gong, labyrinth walks, meditation, shamanic energy practices, monthly Reiki Shares, vocal toning, Tibetan Singing Bowls and Crystal Bowls sound meditations are offered by collaborating practitioners on a regular basis. See website for current offerings. Priscilla Bengtson invites you to visit the web site for a full listing of programs, services and certificate programs offered at the Center to enhance your health and spiritual development. Services include Mediumship readings, Angel readings, Akashic Record Readings, Reiki, IET®, Trance Healing, Crystal Healing Spiritual Counseling, Medical Intuition Energy Scans, Sound Healing, Hypnosis, Massage, and Regenerative Detoxification. Individual sessions available along with a full array of classes to help enhance your personal development. A place to grow, connect and heal. We offer meditation and law of attraction groups, intuitive/Spiritual development classes, Mediumship Mentoring and more. Our focus is helping you find clarity and comfort in the ebbs and flows of life. Services include coaching, readings and healings. Toivo Center for Holistic Healing & Stress Management offers statewide classes, workshops, trainings and specialized retreats where people can engage in expert-facilitated Yoga, Meditation, Zumba, Sacred Sound Healing, Qigong, Laughter Exercise, Drumming, Emotional Freedom Technique, Aromatherapy, Meditative Coloring, support groups and much more. Toivo represents a celebration of human experience in all of its forms and a belief in the unfathomable power of looking within for direction. We believe that no one should be denied the benefits of yoga, meditation or any of our offerings based on socio-economic standing, psychiatric history and/or experiences with addiction. We host a variety of practitioners and teachers. 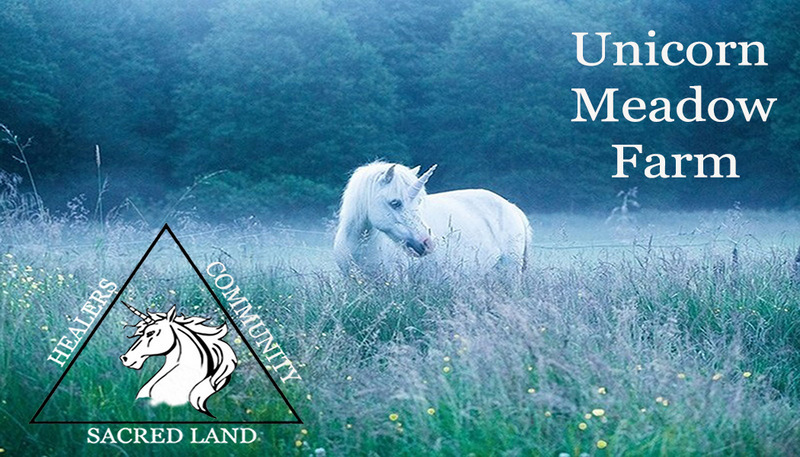 Unicorn Meadow Farm provides a magical, serene setting for holistic events, workshops and private sessions. It is a place where wanderers, seekers and healers gather. The welcoming, healing energy will bid you to stay long past your intended time. Time, as well as worries, vanish here. Please check our events and classes listings and our practitioner listings. You are sure to find something of interest. West Hartford Therapy Center is a diverse group of professionals who have over 50 years of collective experience providing individual, couple and family therapy, body oriented psychotherapy, massage therapy, hypnotherapy, intuitive coaching, reiki, energy healing, essential oils and aromatherapy. Experience our holistic approach to wellness for all of you, your physical, emotional, mental and spiritual health. We welcome people of all ages. Our practitioners include: Elliott Strick LMFT, Deanna Chvatal LMFT, Robert Szczepanski LMFT, Alicia O’Hara CHT, CBT, CLC, Victoria Casa RMT, Kyoko Shirane LMT, Scott Vallencourt LMT, John Beazoglou LCSW. Please visit our website to learn more about us. Explore and improve life through The Reconnection®, Reconnective Healing®, Reiki healing and practitioner training, psychic and spiritual development classes, variety of readings. In-person, email and Skype sessions offered. Agneta offers coaching through shamanic eclectic principles, healing, and astrological consultations. She incorporates over thirty years of ancient modalities that allows the individual to grow in their personal and professional life. I help clients heal their lives. Whatever you are looking for, even longing for, will come to you from deeper emotional and spiritual healing. Difficulties in love and work; or symptoms such as anxiety – are all calling you to grow. My approach is experiential, blending 1) the Psychology and Spirituality of Core Energetics and Gestalt work; 2) the practicality of EFT (Emotional Freedom Technique); and 3) my prior corporate experience (20 years in Investments and Finance). Call, and let’s discuss what’s really important to you! Life Coaching in a non-directive manner, guiding vision, urging excellence, and empowering the client through establishing a firmer connection with his or her inner authority, further developing personal growth and greater self awareness. Katherine is a holistic practitioner, offering Life Coaching, Hypnotherapy, NLP, EFT, and Reiki. 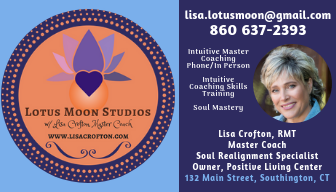 Board Certified Holistic Psychology Practitioner, Metaphysical Counselor, NLP, Certified Hypnotherapist, Past Life Therapist, Clairvoyant, Empath, Reiki Master, Qi-Healer. Author of This is Only a Dream! We grow up with experiences that shape our world. It is from these experiences that we learn our beliefs and the programs that run our lives. Understanding how others and ourselves work is one of the many ways for us to help you make lasting change. See website for more information. You can also check out our podcast – This Is Only Your Life on ITunes. 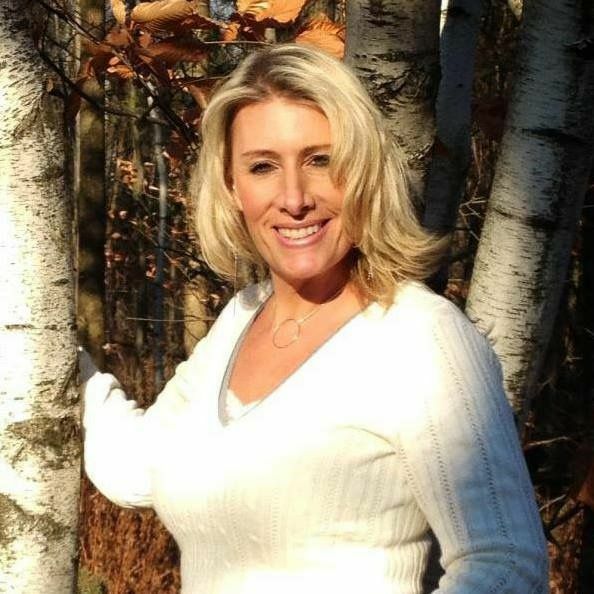 Doreen is a board certified holistic nurse and hypnotherapist, holding certifications in energy medicine, visualization, holistic stress management, Reiki, and therapeutic touch. She is an advanced PSYCH-K facilitator, and offers past life regression sessions. Her spiritually based life coaching/healing practice draws upon her own inner work and training. Included in her experience is 25 years of trauma, cardiothoracic, and neurosurgical critical care nursing. She employs a myriad of mind/body medicine techniques to utilize in private sessions, lectures, and workshops to facilitate healing and a state of well being. Doreen offers skillful tools to release stored emotionally charged beliefs held in the cellular body. Releasing self defeating and limiting beliefs clears the way for happier and healthier desirable outcomes. 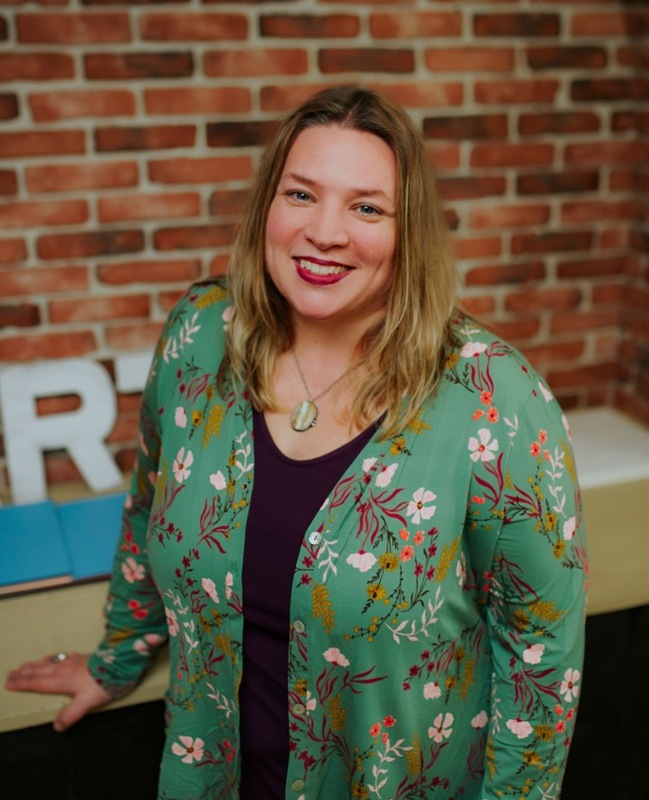 As a holistic stress management and conflict resolution consultant, she customizes her work and workshops to meet the individual needs of corporate and healthcare settings. Working closely with the universal metaphysical laws of manifestation, she shares her knowledge with her clients; offering a key to unlock the potential in others for good health, happiness and abundance in their lives. Phone services available. BC/BS accepted, as well as private pay. I am a Usui Holy Fire II Reiki Master Teacher, Crystal Bed Healer, Energy Healer, Intuitive Empath, Spiritual Advisor & Aromatherapist. I do local & distant healing, chakra & energy balancing/clearing, teach children/adults how to protect their energy, heal childhood trauma, Spiritual & Couples Counseling, and Aromatherapy. I help people heal heart, mind, body, and soul; freeing you from stress and pain and to discover your true path and purpose in life. It takes a balanced, multifaceted approach to reach your most optimal level of health and happiness. If you follow your heart and soul and what they are trying to tell you, your life will automatically flow into balance. 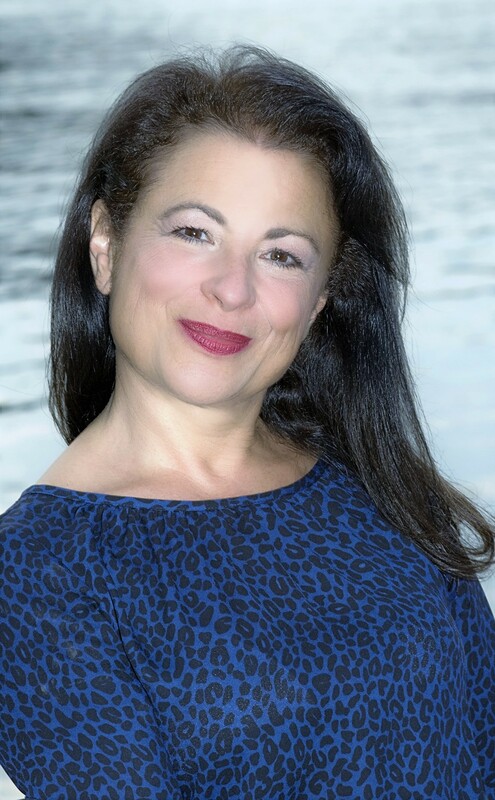 Gayle Franceschetti is an acclaimed intuitive counselor, healer, Reiki Master, and Reconnection™ practitioner. Founder of L.O.V.E. Institute, she facilitates past life regressions, hypnotherapy, and offers counseling/healing/mentoring sessions in person/phone. Gayle hosts a variety of workshops and Power Journeys. Holistic approaches to help you reduce stress, relax your body, calm your mind, and restore your spirit (since 1990). Offering Certified CranioSacral Therapy (one of 10 Certified Therapists in Connecticut with additional Pediatric and Obstetric CranioSacral training), G.R.A.C.E.® Healing sessions, S.C.E.N.A.R. Therapy, Reiki, acupressure, on-site chair/corporate massage, stress reduction seminars, etc. Cranio-sacral therapy focuses on whole system healing. It is a powerful, non-invasive, light-touch therapy that locates and releases chronic restrictions within the body and brain, focusing on regulating and restoring the flow of the cerebrospinal fluid through our brain and spinal cord. This ultimately works to balance the whole system, improving communication and flow within the body, ad allowing the entire body to relax and self-correct. Our nervous system’s ability to relax is a vital component in the healing process. When body restrictions are freed up, it naturally eliminates pain and stress and strengthens our resistance to disease. 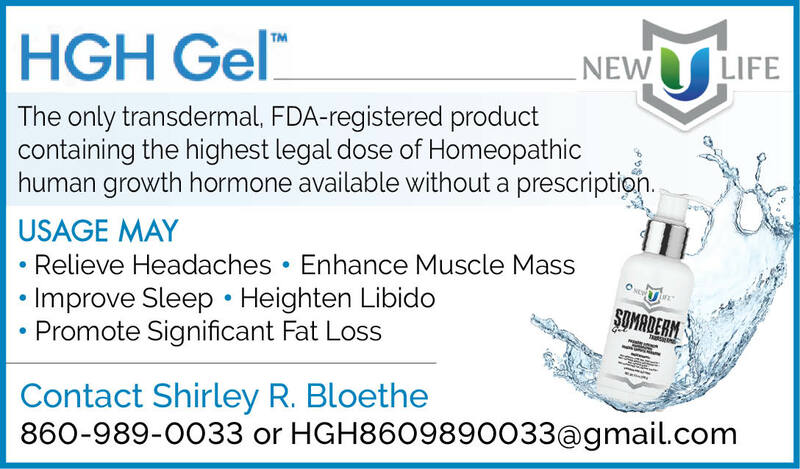 Indicated for any muscle or joint dysfunction, spinal pain, nerve conditions, as well as chronic pain conditions (fibromyalgia, migraines, vertigo). It also works well with post-surgical conditions, like total knee and hip replacements. Overall benefits: eliminate or control pain; improve energy, function, strength and stability; increases nervous system function; decreases muscle tone (decreases stiffness and compression) and improves posture; reduces compression on structure, improving range of motion and flexibility; re-balance and align system; relaxes and connects body-mind; increase sense of well-being and aliveness through body relaxation. Reiki, Sound Healing, Reiki with Sound Healing, Crystal Bed Healing, Guided Meditations with Crystal Singing Bowls & Himalayan Singing Bowls. Sessions customized to the needs of the client. Individual/Private Sessions, Group/Public Meditations. Crystals, Sound and Reiki alter cellular functions and structures, boost the immune system, entraining biological systems to function more in sync, thus reducing both physical and emotional pain while calming the mind, (and ultimately the body) to establish feelings of deep peace, confidence, more energy, well-being and clarity of thought. Anna is a Licensed Massage Therapist, Reiki Master, Relaxation Therapist, and Crystal Bed Practitioner with 12 years experience. Her goal is to assist others in healing themselves by balancing mind, body and spirit . Her work performed is her passion. She believes in LISTENING to the client and teaching them how to listen to their inner voice. She also offers Color Therapy with Infrared Sauna treatments. We have a unique approach to holistic dental care, trusting relationships, non-mercury fillings, and prevention. Your choices are always respected. Dr. Levine has been honored with two more Fellowships in International Academics and is now treating clients for Sleep Apnea. ** Special care for the elderly. Priscilla is a Regenerative Detoxification Specialist with over 30 years of experience in the fitness and wellness industry. She provides individual and group sessions to help you understand what is going on in your body and assists you in making healthier food transitions to heal. A step-by-step approach is taken based on your level of readiness to change your current food plan. Guided acknowledgement/release Pain, Stress, Trauma, Addictions, Draining Emotions w/tapping on energy meridians. Improve Relationships, Sleeping Patterns. Create Habits that Heal. Call, reserve your Phone or Skype session. Customize w/Holistic Coaching. Reiki Master, Qi-Healer, C.C.M.B.A. & C.C.S.M.C., Holistic Psychology, Metaphysical Counselor, Hypnotherapist, NLP Practitioner, Clairvoyant, Empath. Helping you heal from the inside out. Check Counseling listings or website for more information. With warmth and humor, Dory utilizes a balance of traditional counseling, highlighting and cultivating clients’ personal strengths, deep self knowledge and acceptance, with an eclectic mix of spirituality and healing opportunities to balance and align body, mind, emotions, spirit, and soul. 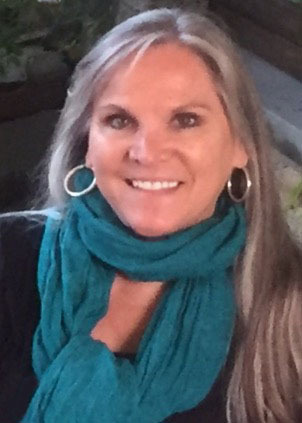 Dory has a strong interest in energy psychology and spiritual science, and has taught many spiritually based courses around the state since 1998. Specialty areas include grief, loss, trauma, life transition or stagnation, co-dependence, divorce, relationship issues, spiritual challenges and growth, and goal prioritization and attainment. Serving individuals and couples. Aetna, CIGNA, United Behavioral Health, CTCare, Husky, and Anthem BC/BS accepted, as well as private pay. 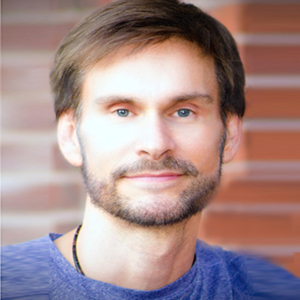 Richard is a traditional Usui Reiki Master whose practice features both treatments and monthly groups. 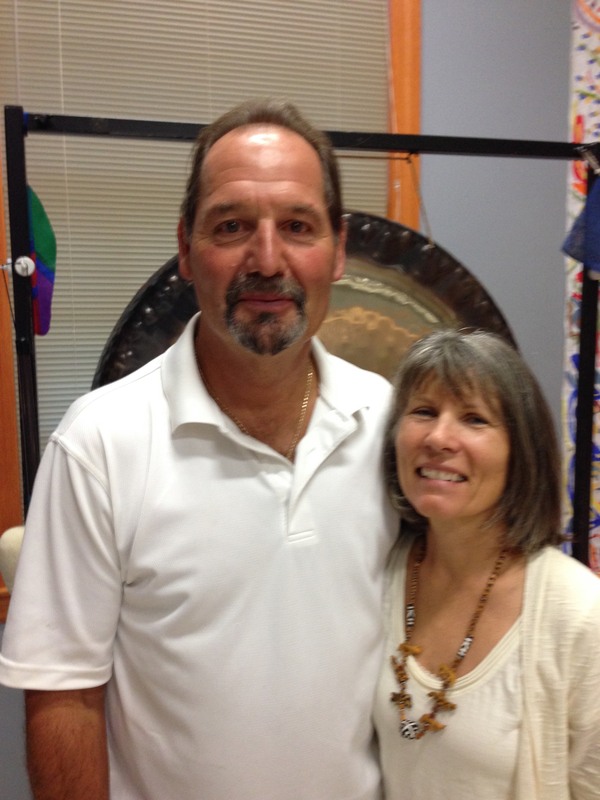 He has been involved with energy healing for over thirty years. Other modalities include chakra cleansing and balancing, auric/etheric body healing and Kahi. Anne is an intuitive energy practitioner who works with you. Integrating Energy Medicine healing techniques and Shamanic healing practices, along with powerful multi-dimensional energy frequencies to help clear, restore and balance your energetic DNA – facilitating deep healing. Master/Teacher for New Paradigm Multi-Dimensional Transformation 13D (formerly Shamballa 13D). Reiki Master, Advanced Integrative Energy Therapy, Shamanic Practitioner, Advanced Hypnotherapy, Past Life and Spirit Regression, Intuitive/Medium, Spirit Detachment/Healing, Crystal Healing, Sound Healing with Tibetan bowls, tuning forks, chimes. Also see “Hypnosis” and “Shamanic Healing” listings. 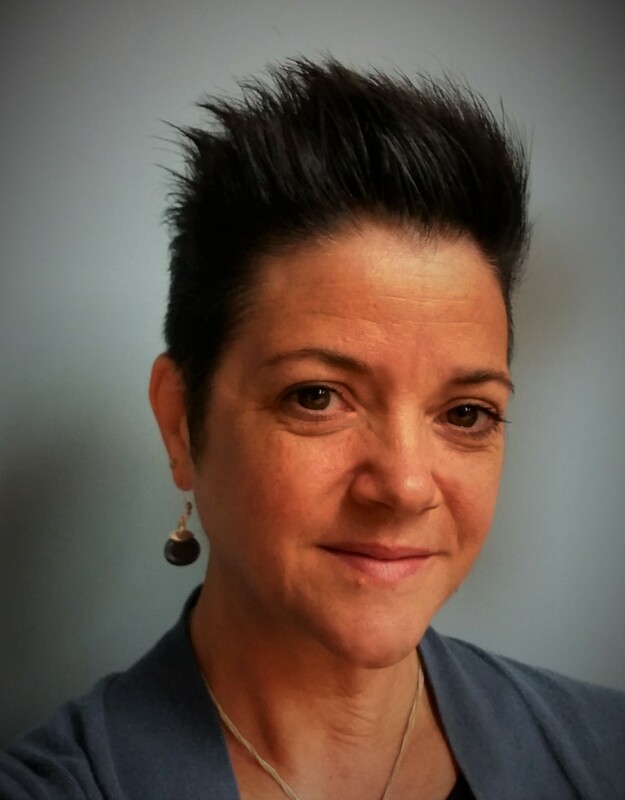 Kathleen is a Certified Healing Touch Practitioner, Reiki Master and Shamanic Practitioner which includes journeying, soul retrieval, extraction, divination and psycho-pomp. Kathleen believes the body, mind and spirit are all interconnected for one’s health and well-being. Kathleen has witnessed the profound effects of energy therapy, both physically and emotionally. Not only do energy therapies help heal and prevent injuries and ‘dis-ease’, they induce a state of calm connection between mind, spirit and body, bringing an awareness that leads to the balance and harmony of all three. “I love what I do and I think my clients feel that. The merging of skill and compassion is what I wish to convey in every session. 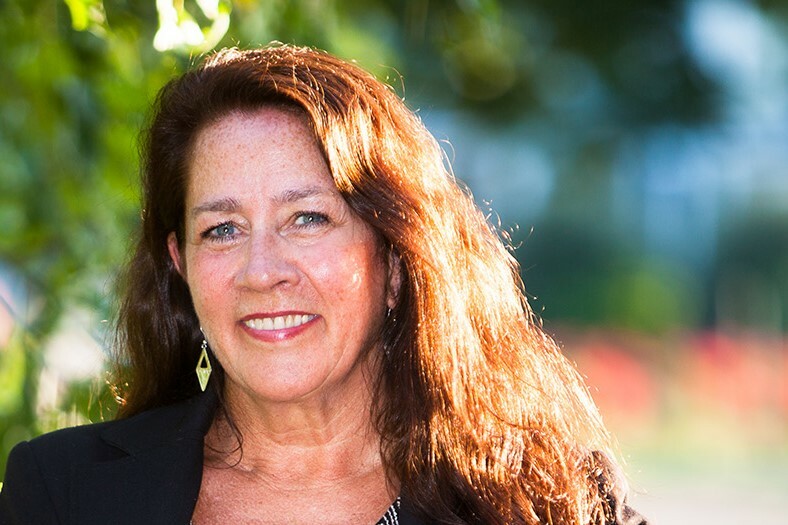 My belief is that my client’s needs are of the utmost importance and I am committed to meeting those needs.” Kathleen has offices in Watertown, Southbury and New Milford. Take a quantum leap into your highest, most luminous, divine-celestial self with a new integrative multi-dimensional approach to healing- Quantum Leap Psychotherapy. Celeste is a skilled, experienced, and compassionate professional. She integrates high-frequency healing modalities with traditional talk therapy to help you mindfully break free of old patterns and assume control of your life. Navigate difficult life transitions such as: divorce; death of a loved one; domestic-violence; gender-identity crisis; loss of employment, retirement, disability, spiritual-emergence, and/or spiritual emergencies. Celeste has been working with highest-frequency-healing modalities since 2002. 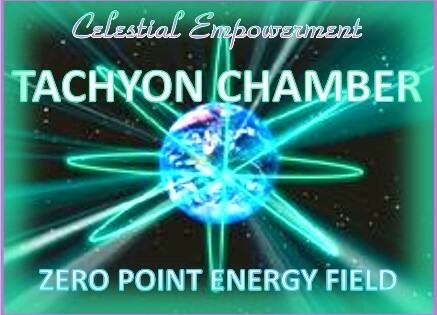 She has recently incorporated Tachyon-living products into her own consciousness-raising work, as well as, individual psychotherapy for adults. 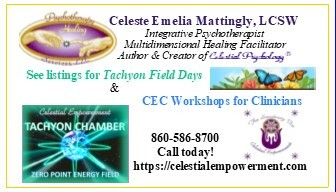 Call today and come grow in quantum leaps and bounds with Celestial Psychology! Weekday evenings and some Saturday appointments available. Celeste accepts most insurance plans, including Medicare and Husky. Vanessa uses over 20 years of energy healing experience and training, including Yuen Energetics, Reiki Master, and more. She couples those with her own natural gifts of “THE” Healing Energy and being a medical intuitive to provide you with a unique experience every time you see her. Essential oils are used for those without sensitivities. Energy healing can be helpful for relaxation, non physical and physical health challenges. Online booking is available for your convenience through the website! Discover the unlimited potential of Reiki for self and others with Usui and Karuna Reiki™ Master Instructor. Graduate of International Center for Reiki Training, et al. Fifteen years Reiki experience. Member: IARP and RMA. Treatments lead you to forgiveness, learning to love yourself more, learning spiritual life lessons, soul light healing, whole body relaxation, chakra healing and balancing, mental healing,joint and allergy harmonizations, relief of pain, and so much more. 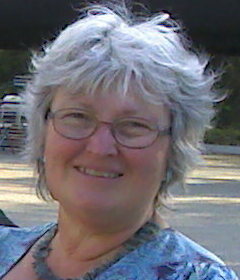 Marie is a Licensed First Dan Rainbow Reiki Master Teacher and Practitioner trained by Walter Luebeck. She teaches Rainbow Reiki and Angel courses and hosts classes taught by Walter Luebeck. Marie also holds certificates with William Lee Rand and Frank Arjava Petter. On-the-spot deletion of pain, stress and life problems. Immediate improvement with a Yuen Method Master in any of these areas: health/wellbeing, money/finances, work/business/ education, relationships, life purpose/intuition/spiritual connection, time/youthfulness, fitness/performance. FREE SAMPLE. Training offered. All work done on phone or Skype. Reiki, sound healing with Himalayan singing bowls and crystal singing bowl. Individual healings, group meditations. Customized sessions to the needs of the client. Release of both physical and emotional pain. Regain harmony, balance, health and well-being. Eilis has been a healing practitioner, specializing in Rebirthing since 1997. She then trained in many other modalities which when integrated with the breathwork of rebirthing provide very powerful healings. Each session with Eilis is a unique healing opportunity and is dictated by the needs of each client along with Divine Guidance. Eilis offers Rebirthing/Healing sessions and group Breathwork evenings along with Body & Soul Integrations which are carried out distantly. 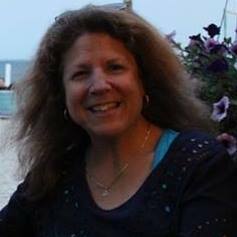 Hello, I’m Robin Barros the founder of Spirit of the Lotus, in Bolton CT. I’m trained in Integrative Manuel Therapy and subconscious communication. I’m a Advanced Soul Coach®, Past Life Soul Coach®, Shaman,Reiki Master Teacher, Medical Intuitive, medium and channel, so my hands on therapy sessions can be extremely enlightening and sometimes really entertaining. 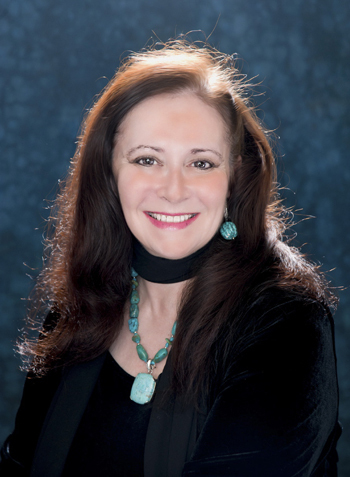 Marian Vitali, DC, integrates energy medicine and shamanic spirit healing. She offers healing sessions, classes, mentoring, and ceremonies. All provide empowering opportunities for healing one’s life with peace, balance, and joy. In Core Energetics, we work with the chronic tensions in the body where powerful emotions are blocked from being felt or expressed. Core also invites cognitive explorations to raise our awareness of the unconscious misconceptions we hold about ourselves and life. We learn to identify our patterns in interpersonal relationships – created in those early years – that keep us from being in true relationship with others. Core Energetics serves to restore the balance and flow of energy between body, mind, emotions, and spirit. By combining bodywork and traditional therapeutic techniques, Core supports you in achieving the life you wish to have. One in which your true, authentic self can meet and be with the challenges, and most importantly, the pleasures of being human. Dr. Sachs prevents and treats chronic illness by addressing the underlying root causes, remaining respectful of the uniqueness, complexity, and intuitions that make us human. Dr. Sachs gives a comprehensive, thoughtful assessment of a patient’s entire health story, including his/her symptoms, concerns and previous medical records including any past laboratory studies. We at Trinity Healing offer a variety of services from Reiki Healing to Crystal therapy to lightbody activation. We have many wonderful testimonials and truly love the work we do helping others. We also offer distance healing as well. Call to schedule a convenient in home appointment today and start feeling more balanced less pain and improved general well-being. We look forward to hearing from you! Create healthy relationships beginning with the one you have with yourself. Call, reserve your Phone or Skype session. Customize w/ EFT, Angelic or Akashic Record Reading, Holistic Coaching. Promoting health and wellness for mind, body and spirit through past lives therapy, holistic psychology, and intuitive tarot readings. Private, confidential and professionally certified practitioner. Assistance by telephone, Skype, email or in person. Board Certified Holistic Psychology Practitioner. Are you living the life you want or the life you think you’re supposed to live? Check Counseling listing or website for more information. You lie on a warm, crystal filled BioMat, surrounded by Tibetan Singing Bowls with a gong at your feet. Powerful bowls vibrate on your heart and sacral chakras. Stress and pain are released. You feel the healing of physical mental, spiritual and emotional trauma. Spirit guides the sound. You journey. Individual and group healings with peope and animals. Concerts at wakes, weddings, funerals and Bar Mitzvahs. Winter, Spring and Autumn classes in Vibrational Healing available. Certified Hypnotherapist, NLP Practitioner, Hypnotherapy and NLP help facilitate amazing change in your life. Past Life Therapy offered. Workshops and classes offered. Check Counseling listing or website for more information. Richard is a certified hypnotherapist whose practice focuses on changing and improving clients’ lives. Specialities include stress management, sleep disorders, weight management, fears, phobias, self esteem, and past life regression. Hypnobirthing™ is available as well. Certified Advanced Hypnotherapy. Integrative, holistic hypnotherapy to identify and release deep core issues and emotional imprints, allowing mind, body and spirit healing. In-depth hypnosis for personal change and self-empowerment. Hypnosis assistance with medical/dental/surgical procedures – including preparation for, and healing recovery therapy. Past Life Regression. Life between Lives/Spirit Regression. Also see “Energy Healing” and “Shamanic Healing” listings. Hypnotherapy – Past Life Regression Therapy. Hypnosis is a powerful tool to help change your life forever! You have the answers to all your problems. Hypnosis is the fastest way known to reach new goals, change unwanted habits, and live a happier healthier life. Use the power of your mind to direct your life. Thought creates! Live your dreams! Restore your passion, confidence, and motivation; transform habits; achieve goals. Wake up each day to a life you are eager to live! Dedicated for nearly 30 years to fostering self-empowerment in adults and children, Joyce offers individual or group sessions, workshops and mentorship. Personalized hypnotherapy, past life regression, spirit detachment, spiritual counseling, and vibrational sound energy sessions are offered. Cross-cultural shamanic practices include energy healing, soul retrieval, huaca and power animal retrieval, extraction, shape-shifting, journeying, and ceremonial transmission of sacred rites as Womb Keeper of the 13th Rite of Munay-Ki. 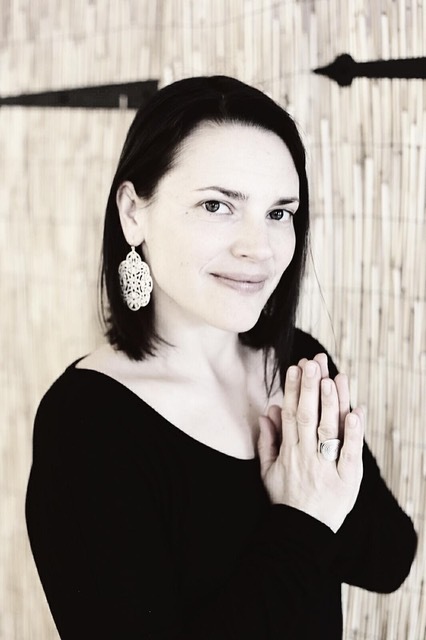 A Registered Yoga Teacher, Joyce facilitates international and local retreats in Shamanism & Yoga and Intuitive Development, Shamanic, nature inspired weddings and celebrations are joyfully officiated as CT Justice of the Peace. Her free Children’s Circle encourages family exploration of art, nature and spiritual connections. Joyce also leads monthly study groups in Psychic/Spiritual Development, Shamanism, and Spirit Detachment Practitioner Training. Please check website for more information. Laughter Yoga – Simulating laughter for no reason without relying on humor, jokes or comedy. We initiate laughter as a body exercise with eye contact and childlike playfulness. It soon turns into real and contagious laughter. A combination of deep breathing exercises from yoga and laughter exercises makes us feel more healthy and energetic. Get amazing physiological and psychological benefits. Boosts the immune system; increases oxygen intake; releases endorphins and serotonin; reduces blood pressure; relieves stress. Join Whitney Christina at the Energetic Being Center for Laughter Yoga Classes or individual sessions. We offer life guidance, archetypal counseling and self discovery support and direction. Our goal is to help you reach your highest potential in all of life’s aspects. Our focus is in guiding you in a process of inner self discovery when you have reached a crossroads in life and are not sure where to go next. Please see our website for more information. Serving anywhere in the world! Access Consciousness® is a set of tools and processes aimed at breaking barriers that hold us back. Whitney empowers clients to know what they know, by asking questions to access internal truths. Caring, open-minded, board certified female internist who will work with your complementary health care providers. Over thirty years experience. Affiliated with Hartford Hospital and St. Francis Hospital. Most insurances accepted. Relax, rejuvenate/experience mental-emotional, spiritual clarity with Guided Imagery. Enhance positive energy. Call, reserve your Phone or Skype session. Customize w/ EFT, Angelic or Akashic Record Reading, Holistic Coaching. With warmth and humor, Dory utilizes a balance of traditional counseling, highlighting and cultivating clients’ personal strengths, deep self knowledge and acceptance, with an eclectic mix of spirituality and healing opportunities to balance and align body, mind, emotions, spirit and soul. 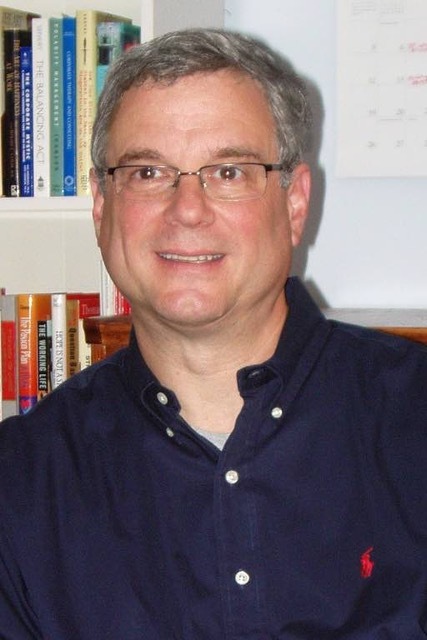 Dory has a strong interest in energy psychology and spiritual science, and has taught many spiritually based courses aruond the state since 1998. Specialty areas include grief, loss, trauma, life transition or stagnation, co-dependence, divorce, relationship issues, spiritual challenges and growth, and goal prioritization and attainment. Serving individuals and couples. Aetna, CIGNA, United Behavioral Health, Husky, and Anthem BC/BS accepted, as well as private pay. Kinlein is a professional practice of caring, based in philosophy that builds on strengths and problem solving skills using the gift of reason. Consciously use your power to make choices to direct the path your life takes. You are assisted as you work through your concerns … a positive focus … building on your strengths. Elliott offers individual and couple therapy. 25 years experience. ACOA issues, anger, grief, childhood trauma, depression, anxiety. Welcoming of GLBT community. Internal Family Systems therapy, body-centered, and expressive therapies. Acclaimed Healer Jan Bartrop-Babbitt brings 25 years as a cognitive behavioral counselor to her practice as an intuitive Past Life Regression Specialist. As a certified alchemist, she uses her intuition and education to assist you in tapping into your inner guidance for a very personalized experience. You will feel the sun on your face, hear the music, taste the wine. This is not a monologue where you are TOLD what/who you were. This is a journey that you will experience and one you will never forget. Distance healing available. Physical Therapy Services. Assessment and treatment of any orthopedic and neurological conditions by a Physical Therapist. Treatment consists of manual treatment and therapeutic activities aimed to improve pain, release restrictions, and improve mobility. Additional programs such as stretching, strengthening, postural alignment and education (pre/post surgical and pain management) are included as needed or requested. Goals of treatment is to relieve pain, improve flexibility and muscle strength, and restore function. Individualized treatments times run in 45 minute intervals and are accepted by most insurances (such as Medicare, Aetna, BCBS, Connecticare, Humana, Cigna and United Healthcare). Otherwise, out of pocket cost is $80 per 45 minute sessions. 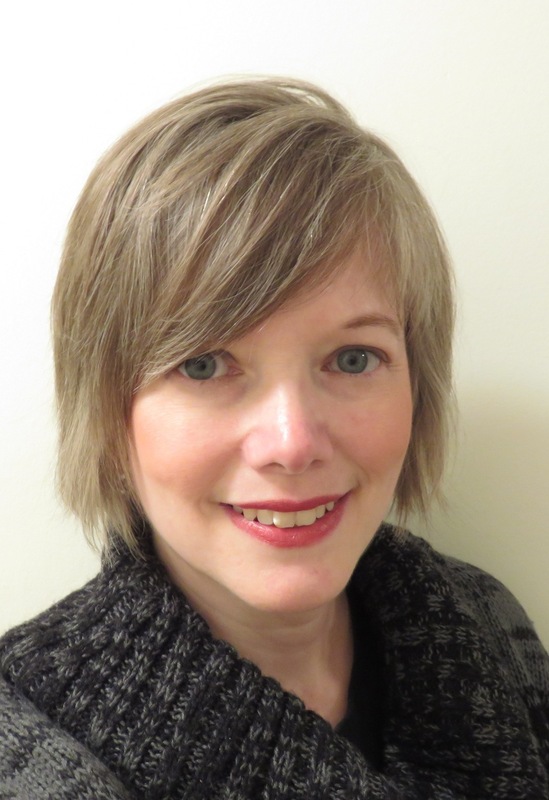 Doreen is a board certified holistic nurse and hypnotherapist, holding certifications in energy medicine, visualization, holistic stress management, Reiki, and therapeutic touch. She is an advanced PSYCH-K facilitator, and offers past life regression sessions. Her spiritually based life coaching/healing practice draws upon her own inner work and training. Included in her experience is 25 years of trauma, cardiothoracic, and neurosurgical critical care nursing. She employs a myriad of mind/body techniques to utilize in private sessions, lectures, and workshops to facilitate healing and a state of well being. Doreen offers skillful tools to release stored emotionally charged beliefs held in the cellular body. Releasing self defeating and limiting beliefs clears the way for happier and healthier desirable outcomes. As a holistic stress management and conflict resolution consultant, she customizes her work and workshops to meet the individual needs of corporate and healthcare settings. Working closely with the universal metaphysical laws of manifestation, she shares her knowledge with her clients; offering a key to unlock the potential in others for good health, happiness, and abundance in their lives. Phone services available. With warmth and humor, Dory utilizes a balance of traditional counseling, highlighting and cultivating clients’ personal strengths, deep self knowledge and acceptance, with an eclectic mix of spirituality and healing opportunities to balance and align body, mind, emotions, spirit, and soul. 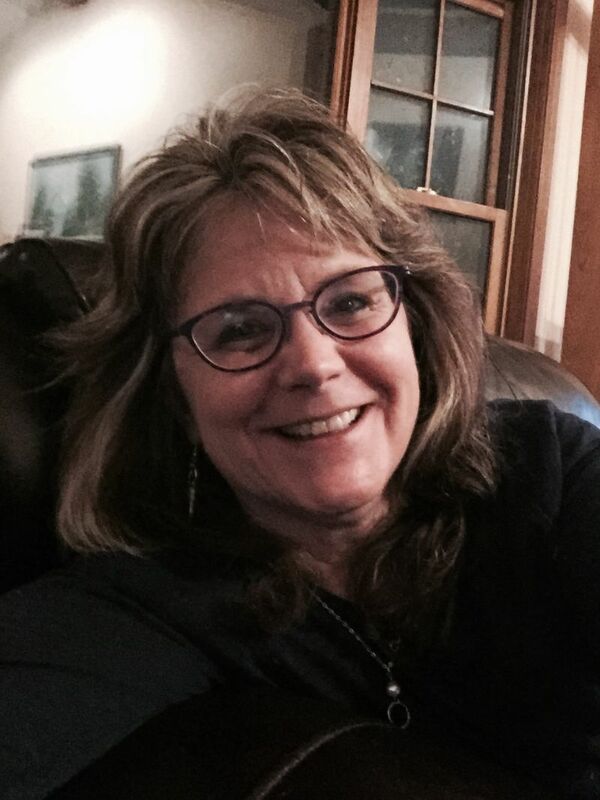 Dory has a strong interest in energy psychology and spiritual science, and has taught many spiritually based courses around the state since 1998. Specialty areas include grief, loss, trauma, life transition or stagnation, co-dependence, divorce, relationship issues, spiritual challenges and growth, and goal prioritization and attainment. Serving individuals and couples. Aetna, CIGNA, CTCare, United Behavioral Health, Husky, Medicaid and Anthem BC/BS accepted, as ell as private pay. 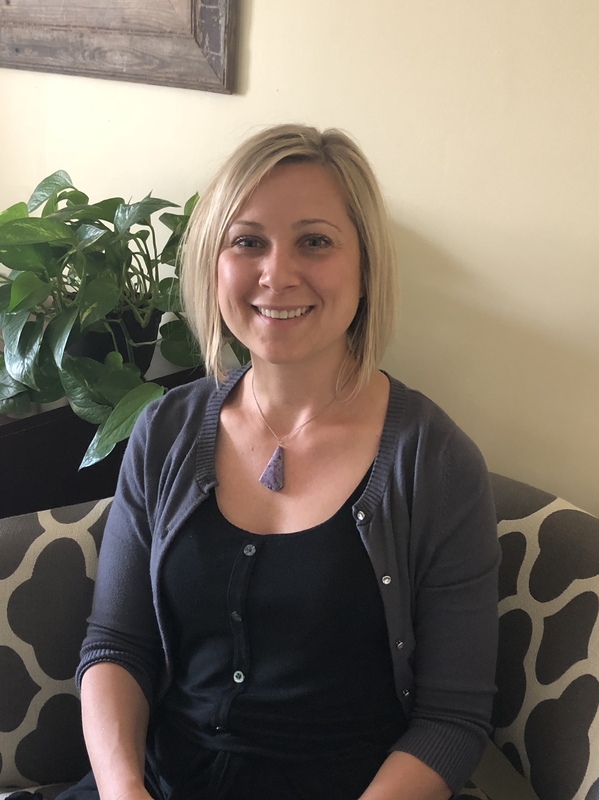 As an LPC with over 15 years of experience, I have developed a therapeutic approach that combines traditional therapy with holistic and spiritual connections, utilizing relaxation therapy, Reiki and mindfulness into my practice. I am experienced in all mental health and addiction therapies, have worked extensively with adults, adolescents, couples and groups. I am available to take new clients days or evenings. My intention is to provide you with the tools necessary to create a life of complete wellness and balance. I integrate clinical therapy techniques with mind body practices such as mindfulness, yoga, writing and other holistic techniques to meet your unique needs. I intend to create a safe space for you to truly be heard, seen and grow. My training includes Mindfulness Based Stress Reduction, 200 hour yoga teacher training, Ayurveda, exposure to earth based/Native American traditional healing practices and a variety of clinical training. 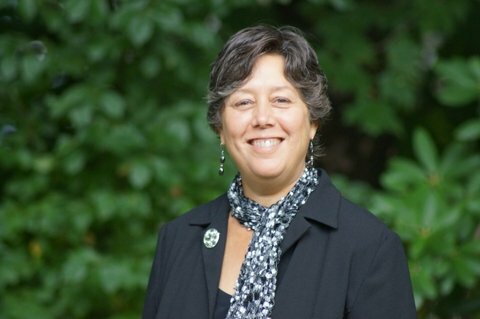 I am currently part of the adjunct faculty at Southern Connecticut State University School of Social Work and lead a variety of workshops at local yoga studios. I look forward to connecting with you. My intention for treatment is to provide my client with the tools to facilitate self-healing using mind-body practices in conjunction with traditional clinical therapy. I bring my practice of Mindfulness and Yoga to the therapeutic relationship as a compliment to my training in Dialectical Behavior Therapy, Trauma-Focused Cognitive Behavior Therapy, Attachment, Solution-Focused Therapies, and Emotional Freedom Technique. I provide treatment for mental health struggles such as depression, anxiety, self-injurious behaviors, suicidal ideation, interpersonal and family conflict, self-esteem issues, substance abuse, mood disorders, thought disorders, and trauma. I also provide clinical supervision and therapy for other therapists. My goal is to facilitate the integration of emotional growth and therapeutic insight. I truly believe that when the individual is able to attune to his/her authentic self, the result is a powerful and life changing experience. Once self-defeating patterns of behavior are recognized, a powerful shift in consciousness can occur. 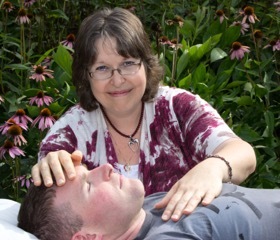 Dory has been a Reiki practitioner and trainer since 1998. 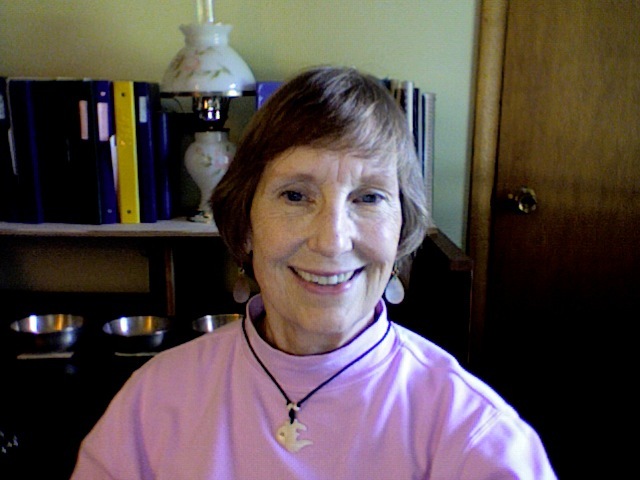 She works primarily with Usui and Karuna Reiki®, along with Empowered Creator energies, and also brings in healing techniques taught at the Institute of Healing Arts and Sciences where she taught for 3 years. Dory combines her energy sessions with a focus on highlighting and cultivating clients’ personal strengths, deep self knowledge and acceptance, chakra awareness and balancing, and much more to balance and align body, mind, emotions, spirit, and soul. Many different specific healings are available, including past life healings. 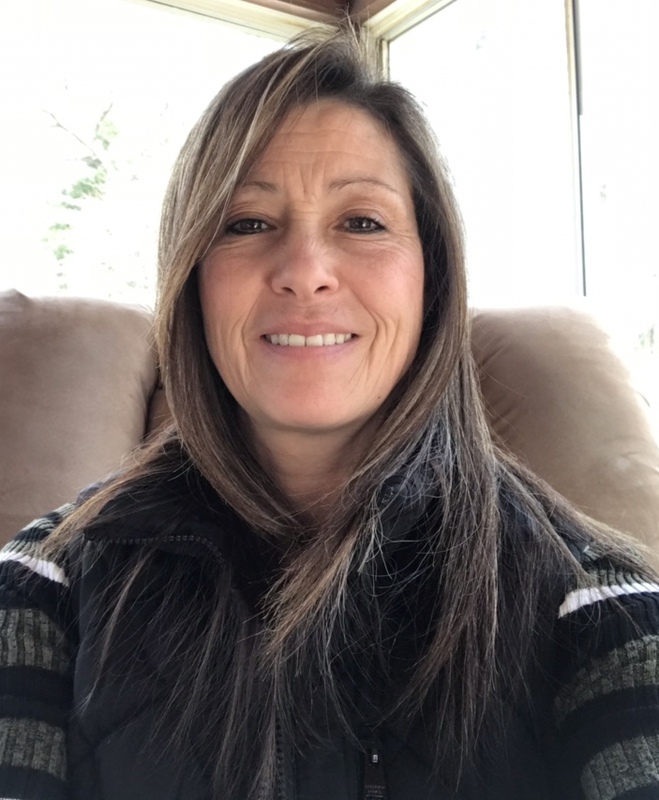 Dory has a strong interest in energy psychology and spiritual science, and has taught many spiritually based courses around the state since 1998. Specialty areas include grief, loss, trauma, life transition or stagnation, co-dependence, divorce, relationship issues, spiritual challenges and growth, and goal prioritization and attainment. All levels of Usui and Karuna Reiki® trainings (with certificate) available. Reiki Master/Teacher offering Reiki Healing, Guided Meditation, and writing your Pictorial Life Story and/or Spiritual Will, all to bring into balance your physical, spiritual, and emotional well being. Reiki Master Teacher. Katherine blends the subtle yet powerful effects of Reiki and other energy modalities to support healing on all levels. Your body holds the story of your life. Discover the power of touch to heal. Private sessions. Enter the healing world of Rainbow Reiki, a vast array of techniques that lovingly brings you into the spirit world of healing. Treatments lead you to forgiveness, learning to love yourself more, learning spiritual life lessons, soul light healing, whole body relaxation, chakra healing and balancing, mental healing,joint and allergy harmonizations, relief of pain, and so much more. Marie is a Licensed First Dan Rainbow Reiki Master Teacher and Practitioner trained by Walter Luebeck. She teaches Rainbow Reiki and Angel courses and hosts classes taught by Walter Luebeck. Marie also holds certificates with William Lee Rand and Frank Arjava Petter. In addition to being gifted psychic mediums, Heather and Lisa are certified Usui Reiki Master/Teachers. They weave their intuitive gifts with knowledge and compassion to help heal the mind, body, and soul of an individual. Appointments are available in your home, at the studio, or by distance. Reiki training and certification is available. Reiki shares for practitioners are hosted monthly. Please see website for full details. Gift certificates available. 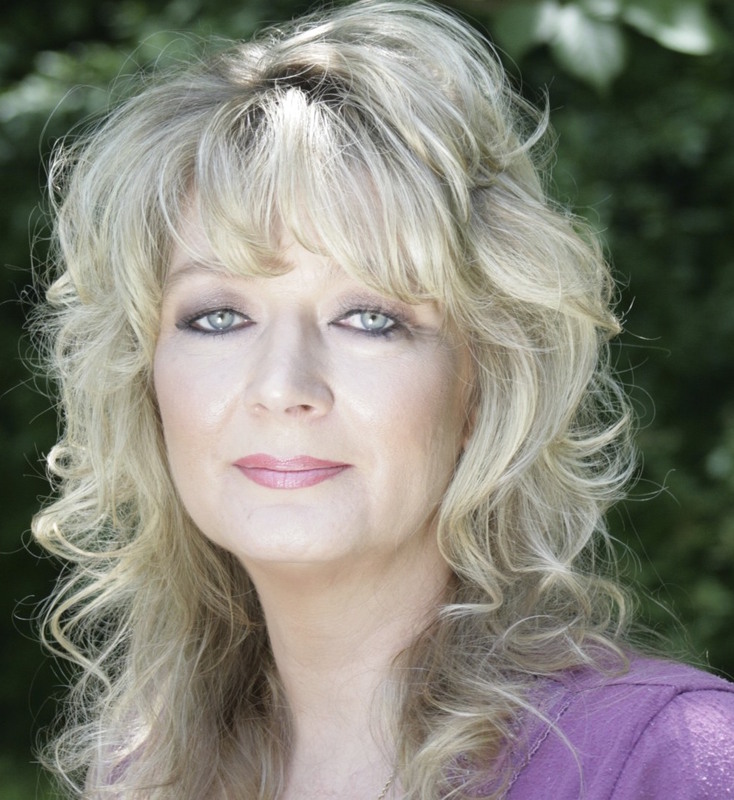 Denise is the Founder of Stairway to Healing Light and uses the Japanese Reiki Energy Healing technique for relaxation from the life and daily stresses. She is Certified in Usui Shiki Ryoho Reiki and teaches all Levels: Reiki I, II, Advanced III and Reiki Master Teacher. Denise also renders her Reiki services, and volunteers at Hartford Hospital. She does Vocal Toning and uses Tibetan singing bowls, bells, tingshas, Native American drumming and rattles to balance Chakras. What this does is while healing the Chakras by using vibration and voice sounds to soothe and break at a cellular level, it works simultaneously on the parasympathetic system. Denise is a descendant of Pope John the 23rd and 1/8 Native American Cherokee; she can tap into the Angelic Realm as well as the Native American Spirit. Denise’s Shamanic abilities channels Narragansett Indian Chief White Cloud, spirit animals and song birds as well as various Angels and Spirit sources. She is a QiGong Associate Instructor focusing on the medical benefits of lower dantian breathing while using energy flowing martial art movements. Travels throughout CT, RI and Eastern MA. To promote healing of body, mind, and spirit, Karen Cote seamlessly weaves together ancient shamanic techniques with modern techniques. This encompasses: Shamanic Extraction Healing and Soul Retrieval, divination, psycho pomp work, shamanic journey work, spiritual healing, meditation, stress management techniques, Reiki, Emei QiGong, birth charts, hypnosis, and more. Sessions are hand-tailored to meet each client’s individual needs. Copper Beech Institute is New England’s newest home and retreat center for meditation and contemplative practice. Copper Beech envisions a future where mindfulness and contemplative practice are transforming our daily lives, our personal relationships, and every level of society affecting a healing shift in how we relate to one another and the earth. If you are a seasoned practitioner of meditation and yoga, you are welcome to deepen your practice here. Located in enchanting Chester, our residential retreat facility is a beautifully renovated country inn that accommodates its guest with private bathrooms, spacious meeting rooms, and creative, nutritious meals. Agneta seeks for the individuals to understand, acknowledge and integrate their True Essence into a healthy life-style. She offers shamanic counseling, soul retrieval, extraction, rituals, and astrological consultations; natal birth charts and updates. Agneta also coach principles of journeying and meditation. 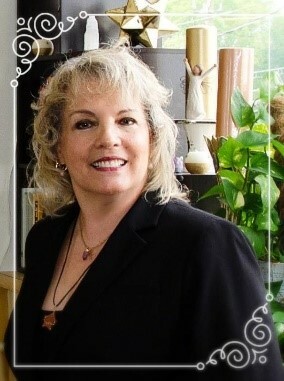 She incorporates over thirty years of various healing and astrology techniques in an eclectic system. Richard is an intuitive healer, trained and initiated in Eastern and Western shamanic traditions. His practice embraces divination, soul retrieval, extractions, depossession, psychopomp and healing rituals. Richard is also a certified herbalist. Integrating Energy Medicine techniques and Shamanic healing practices, including journeying, power animal retrieval, soul retrieval, extraction, pyscho-pomp. Healing rituals and sacred ceremonies. Womb Keeper for the 13th Rite of the Munay Ki. Also see “Energy Healing” and “Hypnosis” listings. Priscilla practices the Atma Buti (Soul Medicine) tradition of sound healing. Relax and unwind or work on specific issues such as depression, anxiety, stress or anger. Sessions available for individuals, groups, children and corporate retreats. Please join us the second Thursday of each month in Columbia, CT at 6:30 p.m. (call or email for address) for an intimate and comfortable harmonic sound healing meditation and become centered in the law of our wholeness. Experience the resonance of the gongs and bowls and how they affect us at the deepest cellular levels having the ability to go into our cellular structure and rearrange our molecules. Here we are able to free ourselves of old patterns that no longer serve us and re-generate and rebalance our physical, emotional, energetic and spiritual bodies. This balance will be remembered and stored as part of the healing process which is simply the releasing of the divine potential that is always present. The space supports 15 people so early registration is requested. Private sessions by appointment. 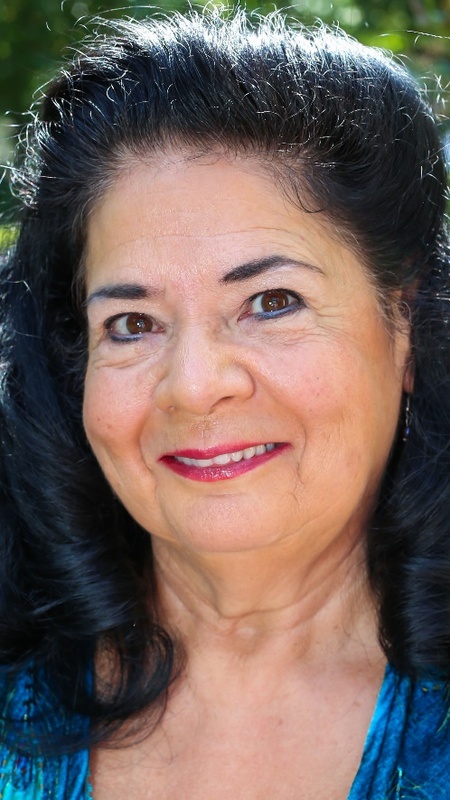 Priscilla is a certified Reiki Master, Trance Healer and Spiritual Counselor who works with a Spirit team of healers to help people recognize and heal spiritual, emotional and physical issues. Whether you have a one-time issue or a repeated pattern of habits, Priscilla will co-create a plan of action with you to help you move forward. Dedicated for nearly 30 years to fostering self-empowerment in adults and children, Joyce offers individual or group sessions, workshops and mentorship. Personalized hypnotherapy, past life regression, spirit detachment, spiritual counseling, and vibrational sound energy sessions are offered. Cross-cultural shamanic practices include energy healing, soul retrieval, huaca and power animal retrieval, extraction, shape-shifting, journeying, and ceremonial transmission of sacred rites as Womb Keeper of the 13th Rite of Munay-Ki. A Registered Yoga Teacher, Joyce facilitates international and local retreats in “Shamanism & Yoga” and “Intuitive Development”. Shamanic, nature inspired weddings and celebrations are joyfully officiated as CT Justice of the Peace. Her free Children’s Circle encourages family exploration of art, nature and spiritual connections. Joyce also leads monthly study groups in “Psychic/Spiritual Development”, “Shamanism”, and “Spirit Detachment Practitioner Training”. Please check website for more information.